Since moving to Sydney last year I’ve learnt that the locals don’t tend to swim amongst the crazy waves or crowds found at most of the city’s famous beaches. Instead they frequent Olympic-sized public pools, tranquil harbourside coves or ocean baths dug out of rock. 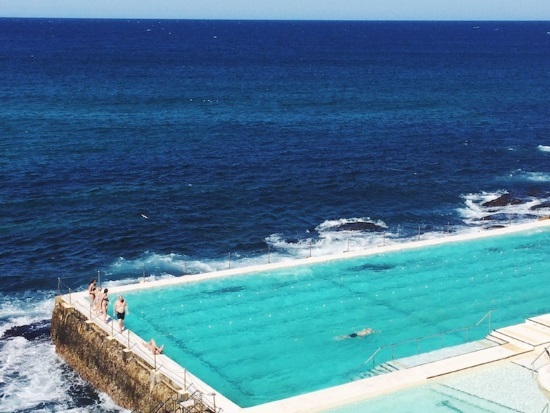 From Bondi to the Botanical Gardens these are the secret swimming spots the locals love to lap. The Andrew ‘Boy’ Charlton swimming pool (named after the Olympian freestyle swimmer) is tucked away in a corner of the Botanical Gardens that not many tourists tend to spot. Hovering below Mrs Macquaries Road and just above Woolloomooloo Bay, the ABC Pool has ample swimming lanes and sun loungers, modern and sparklingly clean changing facilities, a shallow children’s pool and trendy poolside café. Entry cost just $6 per adult for a full day. Hiding under Sydney Harbour Bridge on the North Shore is the art deco Olympic Pool, which opened in 1936. 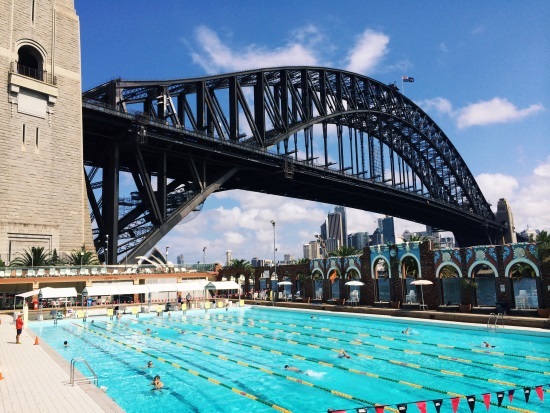 Not only does this pool have Sydney’s iconic bridge, harbour and Opera House for a backdrop but an enormous 86 world records have been set there. To get there via the scenic route catch a ferry from Circular Quay - it takes you under the Harbour Bridge and parks outside the pool in less than 5 minutes. Entry to the pool is free when you purchase an unlimited rides pass to neighbouring amusement park Luna Park (tickets start from $24.95 – prices are height dependent) or costs $7.50 per adult if you just want a swim. Murray Rose Pool (formerly Redleaf Pool) is a tranquil harbourside swimming spot that is large enough to do some decent laps in. Camouflaged from the main road, it’s worth seeking out this cove of yellow sand beach that shelves gently into calm water. The pool is circled by a wraparound boardwalk (used for both strolling and diving off) and two pontoons in the middle provide the perfect spot for sunbathing. 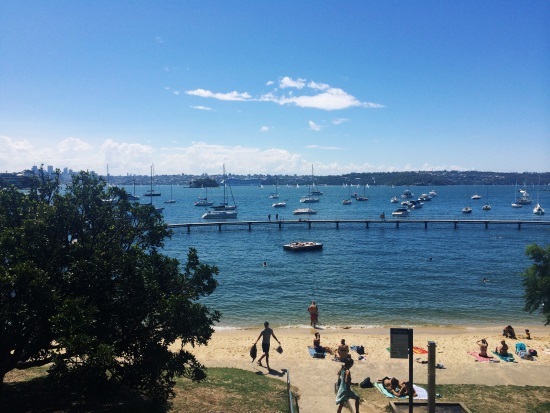 Parking is limited in the area so it’s advisable to take a bus from the city towards Double Bay and get off at the stop for Woollahra Library (the stairs to the beach are found just behind it). There’s a kiosk with outdoor seating nestled into the hillside for when you need a refreshment. 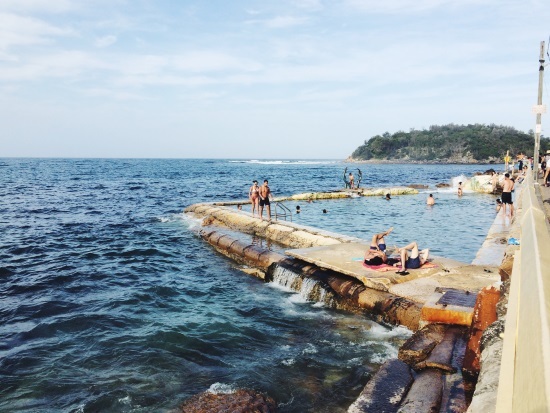 The Fairy Bower ocean pool is situated halfway between Manly and Shelley Beaches. You’ll come across it if you take a stroll along Marine Parade, as the locals love to do. The historic pool was cut out of the rock by local residents in 1929 and today is decorated with modern sculptures made by Helen Leete. There are limited toilet and changing facilities nearby but that doesn’t stop the children enjoying crab spotting amongst the rockpools. Shelley Beach, situated at the end of the Parade, is also an ideal bathing spot for families with children due to the sheltered cove having much calmer waters than Manly Beach. The iconic Bondi Baths have been a landmark of Bondi Beach for over 100 years but not many visitors realise they are open to the public. There’s a (often photographed) 50-metre lap pool on site as well as a children’s pool and the Crabbe Hole cafe, which opens for breakfast and lunch. If you enjoy yoga be sure to check out the year-round Yoga By The Sea programme (you can book in advance online or pay $25 to take part on the day.) Pool entry costs $6.50 for swimmers or $4.50 for spectators. Jayne is a travel blogger and social media manager from the UK who is currently enjoying the expat lifestyle in Sydney. Find her blogging at girltweetsworld.com or say hello on twitter @jayneytravels.